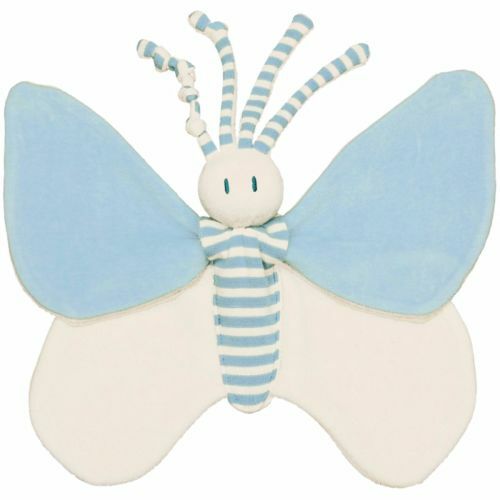 Soft & soothing comfort blanket for your baby boy. 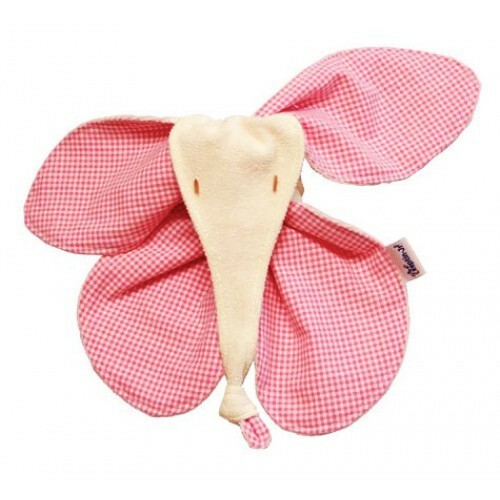 Knots, tags, even little animal ears, are perfect for tugging, teething, & touching. 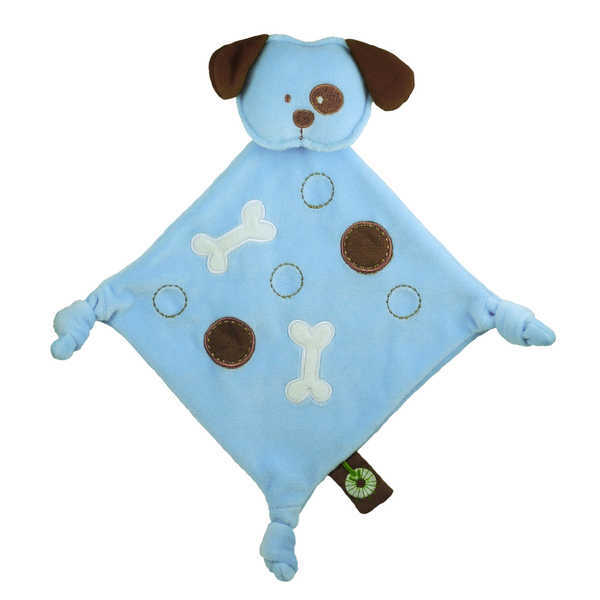 Made from organic cotton velour and filled with natural corn fibres, this blue doggie blanket is machine washable and is free from chemical and pesticide residues. 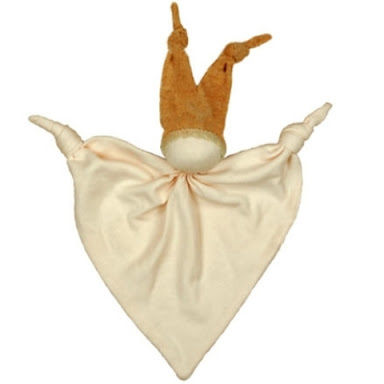 Approximately 35cm from tip to tail (if he had a tail) and suitable from birth.